Food for thought: since spanakopita is technically a Greek pie, why not forgo the phyllo and fill a ready-made crust with spinach and feta goodness? Made with just five supermarket ingredients, this Spanakopita Quiche is seriously easy as pie. Quiche preferences are almost as personal as those pertaining to pizza. Some enjoy a custardy filling. Others are sticklers for flakiness of crust. As for tasty add-ins - broccoli, mushroom, even salmon - you're only limited by your imagination. -Won't make me feel like I've consumed a brick. This Easy Spanakopita Quiche fits the bill. As for the flavor, it's actually somewhere between a tiropita and a spanakopita - essentially heaven in a pie crust. I think my Yiayia would approve. For those of you who shun the thought of pre-fab pie crust, knock yourself out and make your own. I think Marie Callender does a darn fine job and saves time that could be better spent OUTSIDE of the kitchen. It IS officially summer, after all. Preheat oven to 375 degrees F. Remove pie crust from freezer. In large bowl, combine eggs, cottage cheese, feta, dill weed and black pepper. Combine gently until mixture is somewhat homogenous, but DO NOT over mix. Remove as much moisture as possible from the frozen spinach. This can be achieved by squeezing the unwrapped spinach between three layers of strong paper toweling. When frozen spinach has been adequately dried, combine with egg mixture. Pour mixture into pie crust. Bake for 35-40 minutes. Allow to stand 10 minutes before serving, or, cool completely before transferring to refrigerator. 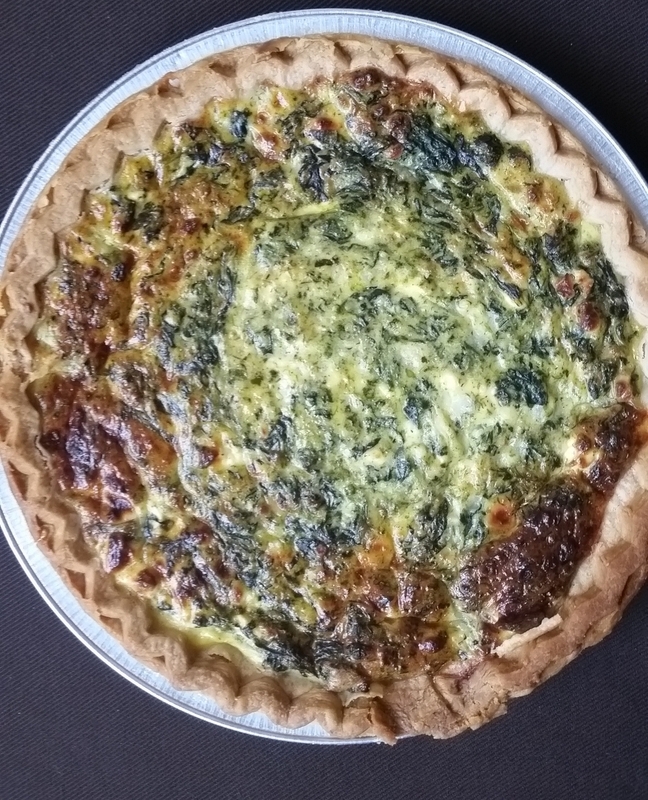 Leftover quiche can be kept refrigerated for up to three days. *As always, these are personal preferences. I am in no way affiliated with this brand.